One of my favorite photography sites is the channel between White Lake and Lake Michigan on the eastern shore of Lake Michigan. Between autumn and spring there are a few times a year when the conditions are such that the channel is one of the few local areas of open water. 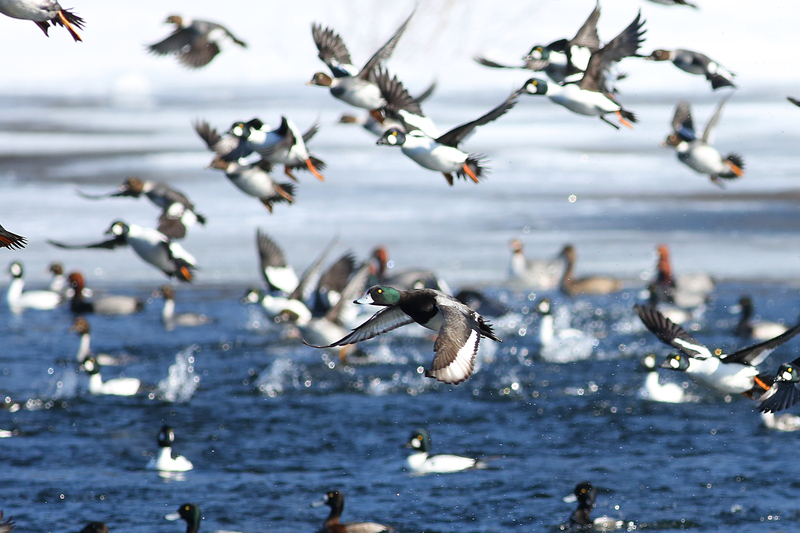 It naturally attracts an abundance of waterfowl. 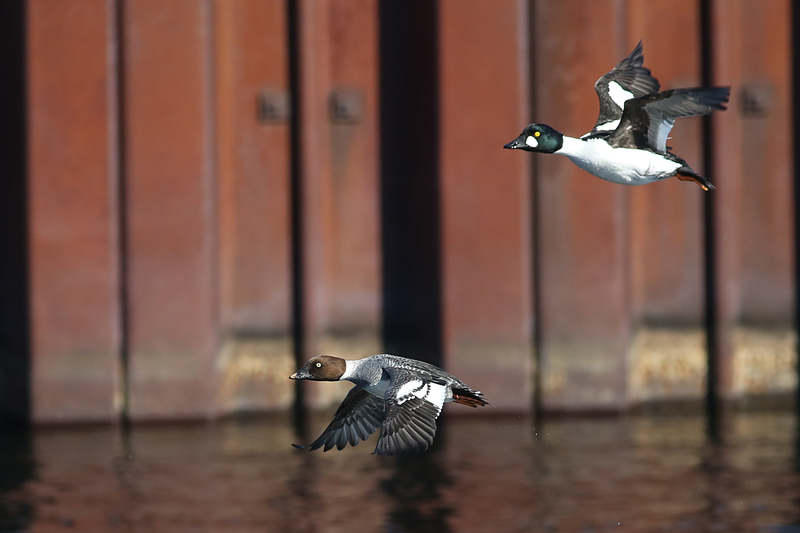 There are limited areas to land so they tend to fly back and forth between the White Lake end of the channel and the Lake Michigan end. 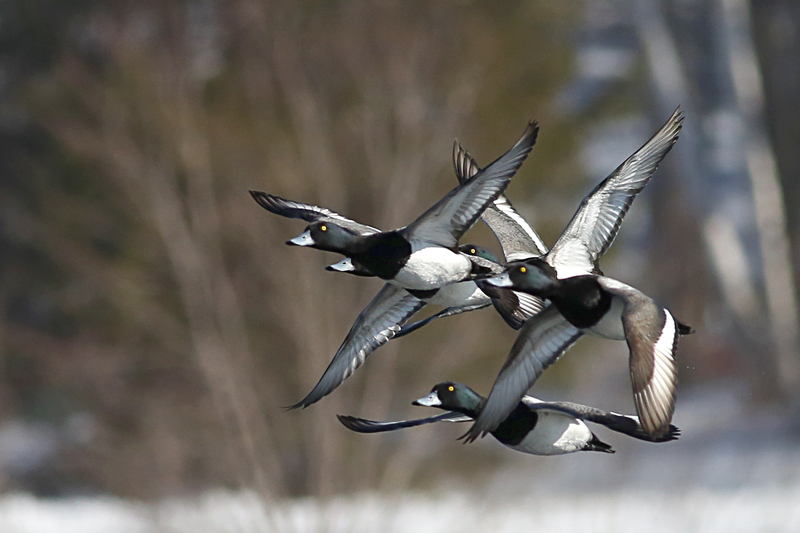 This predictable flight path gives me the opportunity to photograph them in flight like no other situation. 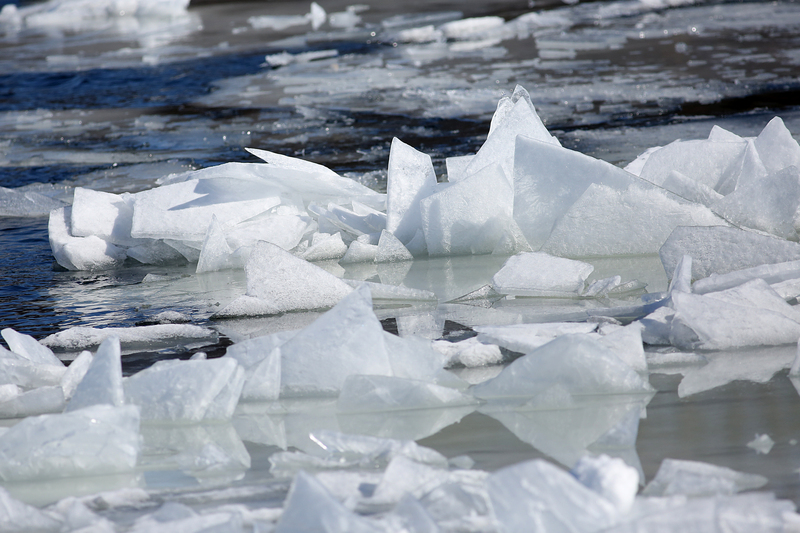 All of these photos were taken on March 8th, a bit late in the year for all of the ice. 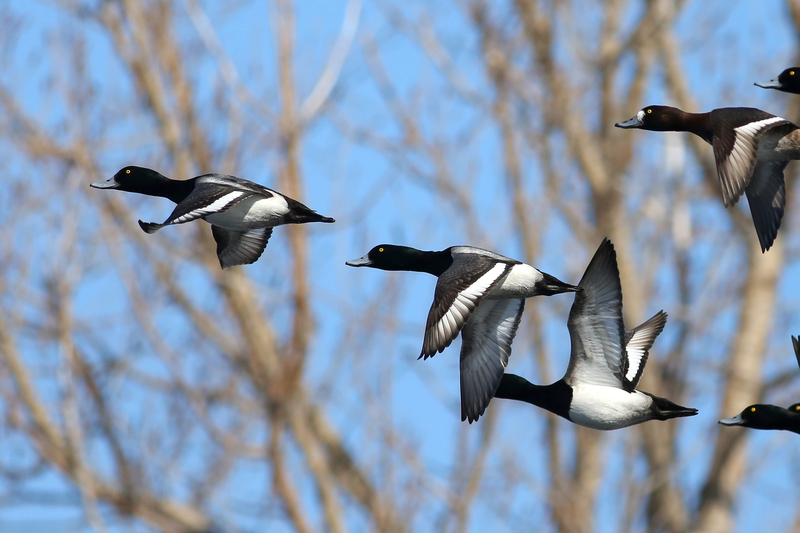 The variety was dominated by Goldeneye, Greater Scaup and Redheads and a few White-winged Scoters and Common Mergansers. 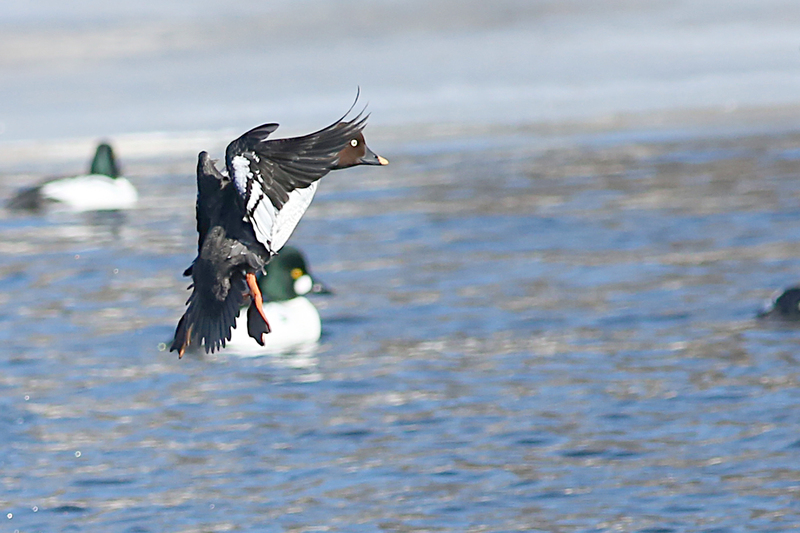 It’s surprising the contortions they go through to achieve a succesful water landing. The little shove-ice in the area reminded me of the Sydney Opera House. 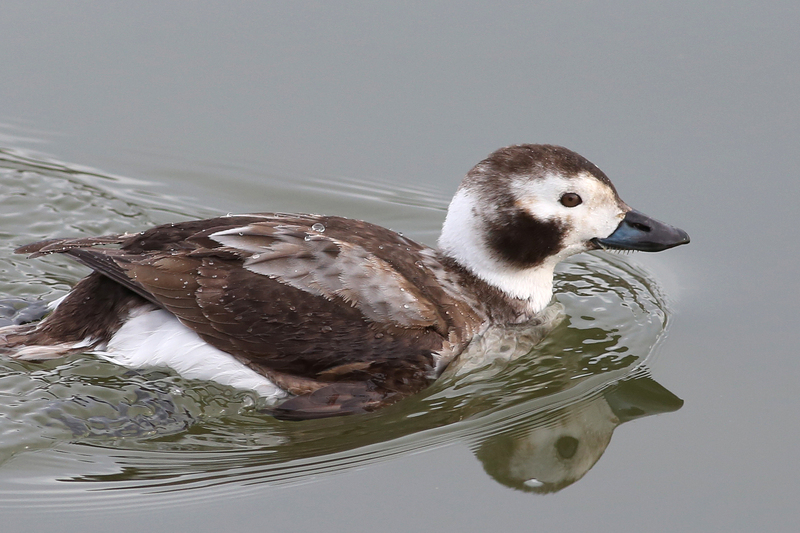 I visited the channel about a week later and found this female Long-tailed duck. I also used my aerial camera to capture the typical winter shoreline of Lake Michigan. Many people have recently explored the icebergs and caves off shore but that is far more dangerous than most realize. You can see my virtual tour of the ice in complete safety in the following video. Watch closely and you might see a promise of spring. Thank you. It was actually a warm day by comparison to the bitter winds off the lake a few weeks ago. Some beautiful shots, loved the one of the ice!